I’m currently obsessed with storytelling in Snapchat, as you may have gleaned from my last post, and so I’ve decided to post daily Snapchat Stories about my research Monday-Friday throughout this month. 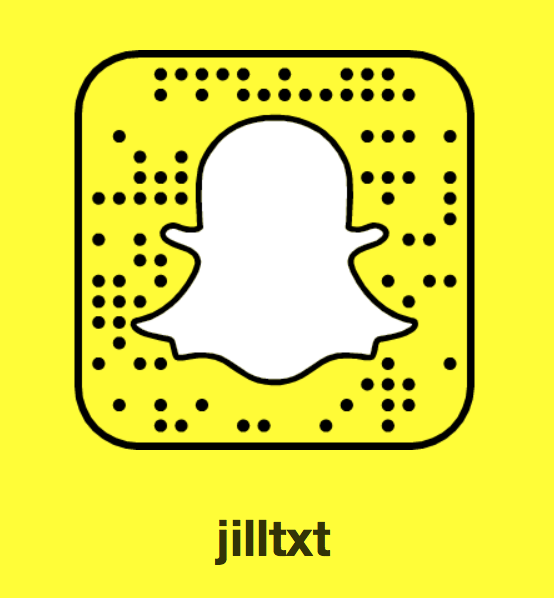 Add me (I’m jilltxt) to view my stories as I post them! Here are my first three, each using slightly different narrative techniques. Narratively, I like the first and second stories the best. The first really uses the medium as it’s about selfie lenses, but not every story can do that. In the second one, which is a kind of book review, I actually go to the library and look for some of the books discussed in the book I review, and I think the walk-and-talk thing works well in Snapchat stories. That’s a pretty common trope for successful Snapchatters (e.g. danthedirector, tornsuits, djkhaled – OK, he usually uses his waterski rather than his legs but same idea) and having tried it, I can see why. I also feel less stilted and stiff speaking to my phone while walking than just sitting up and down. For the third story I wanted to try snapping an event, so made a story about a research seminar in Kristine Jørgensen’s Games and Transgressive Aesthetics project. I think the walking to the seminar and explaining what it’s about works well, and I like getting a couple of the principal actors to explain very briefly what they do, but I’m not sure whether there is a good way to snap from a research presentation. It’s hard to get exactly the right 10 second soundbite from a presentation. The summary at the end works pretty well though I think. And I like silly stuff like the faceswap. I’ve been somewhat surprised that the time use for creating these videos really isn’t greater than writing a blog post. In many ways it’s quicker, because you can’t go back and edit once you’ve posted things. So you don’t have the second-guessing and the I’ll-just-save-this-as-a-draft-and-never-return-to-it that I tend to end up with in blogging. Obviously I’ve spent some time thinking about this and exploring Snapchat over the last couple of weeks, but the actual stories haven’t taken much time to create. I storyboarded the first one on the plane (about 30 minutes work?) and certainly thought about the topic a lot while playing with Snapchat, and of course it draws from my earlier work. Actually creating the video first took me about an hour and a half. The second video took just over an hour, which included the time to walk down to the library (15 mins) which was on my way home anyway. The third took no extra time in the sense that it was entirely created around a research seminar I was going to in any case. I recorded a bit on my way to the seminar, a bit at the seminar, and a bit walking from the seminar to a coffee shop for a bit of writing before heading off to pick up the kids from school. Another issue is that these are supposed to be transient, right, like television and radio were before the internet. But I’m saving my stories because I don’t want to put all that work into this and have it disappear. So what does that do to the medium? I also notice that the way I’m using Snapchat could have been made for television. There’s nothing really narratively new in these (except maybe the selfie lenses). But I never would have filmed and edited a video like this without using Snapchat. I would have thought of it as too much work and also as something unachievable for me because I’m not a video producer. On Snapchat it’s just add one short clip after another and oh, look, it turns into a video. As usual, a very interesting post. I have never thought about using Snapchat this way. As for the less stilted and stiff speaking to the phone while walking, I agree. OK, I watched it on Snapchat, and I thought it worked really well there. But yeah, as YouTube video it’s uh, let’s just say less awesome… Definitely something to think about if we’re wanting to make Snapchat stories that both work on Snapchat and that can be saved for reuse elsewhere. Do you think you’ll do more of these? I’ll probably try another one next week – my university has been the centre of a big public streetart festival and there are about 20 new murals across campus, so I thought a little narrated tour of my favourites might work well. In terms of the format, it reminded of how giving media interviews works. When I’m doing media interviews, I usually end up giving somewhere between 5 and 10 minutes’ worth of answers, knowing that the few quotes that’ll be used are usually in chunks that’d usually fit Snapchat’s 10 second limit. And the challenge is always to make sure you deliver quotes that summarize what you do want reported … and never say anything that can be decontextualized and sound awful in one of those 10 second chunks. For me, while I’m comfortable (mostly) with the process of letting journalists work out which bits of my train of thought are most useful to share, I find having to figure out what I want to say in 10-second segments frustrating. I tried to do that Star Wars story with my talking head to start with and kept getting cut off, so gave up and used the images with text, instead. So, I can see a walking tour of art being a good use, but I doubt I’ll default to Snapchat stories as a regular academic storytelling channel. That’s a great idea except that it’s too late to submit a proposal. We could definitely do an informal thing, though. I would love to. It could be really interesting having a bunch of people trying to snap the conference.